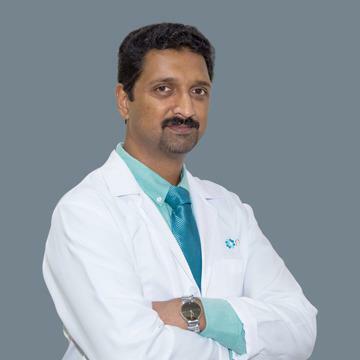 Dr. Vipin Mathew has a vast experience of more than 15 years in the field of Radiology. He has completed his MD in radiodiagnosis from Rajah Muthaiah Medical College, Annamalai university, Tamil Nadu. He has got special training in MRI and Nuclear Medicine from Trivandrum, Kerala India. He has also worked as Associate professor of Radiology at Sree Gokulam Medical College and Research Foundation, Trivandrum, India from 2005 to 2008. He joined NMC Royal Medical Center in 2008 as Head of Radiology Department and Radiation Safety Officer.